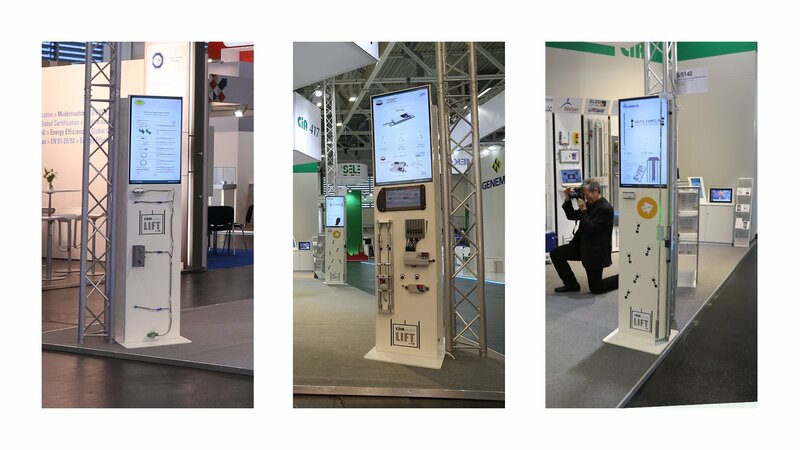 The CANopen-Lift Demonstrator2 was developed for the attractive presentation of sensor data and functions of CANopen-lift-capable products and was exhibited for the first time at the Interlift 2015. The Demonstrator2 shows the functionality of CANopen-Lift components exemplary. It can be operated independently, which also makes it possible for the use in the own company. As a basis for visualisation, the flexyPage PRO boxed display controller is used. 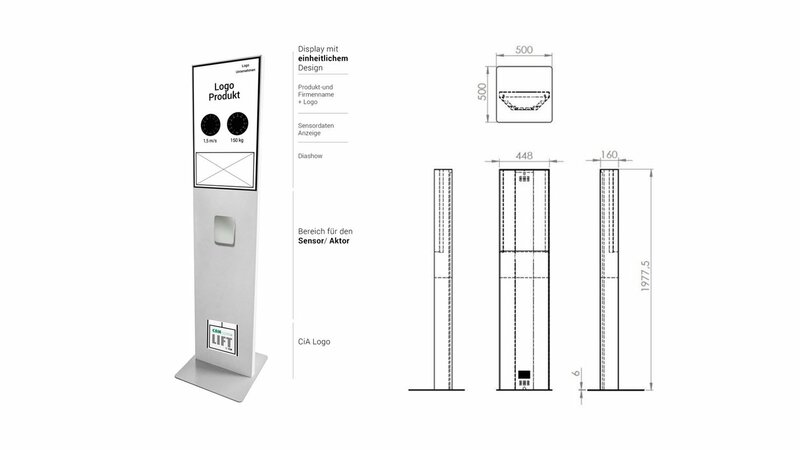 It has a CANopen interface, which enables the data and functions of the CANopen-Lift products to be animated and displayed in real-time. In addition, product information can be presented on the integrated display. The new CANopen-Lift Demonstrator2 offers a modern design and has been optimised for a relatively simple transport, set-up and dismantling. He impresses with a slim silhouette, uniform in modern white and has a ready-to-use screen design. The screen design provides space for the presentation of CANopen-Lift process data, logo as well as a product and company presentation. The Demonstrator2 is delivered in a specially designed transport box. The transport box has 4 transport rollers, 4 hand grips and can be closed with butterfly locks. 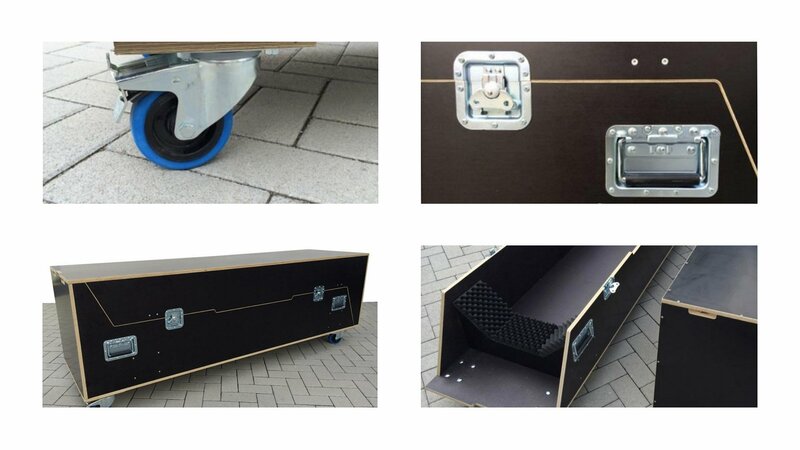 Dimensions of the transport box: width: 560 mm, length: 2070 mm, height: 565 mm (705 mm including rollers), weight: 68 kg (without column). The integrated monitor is controlled via an HDMI interface using the integrated flexyPage Boxed Pro display controller. 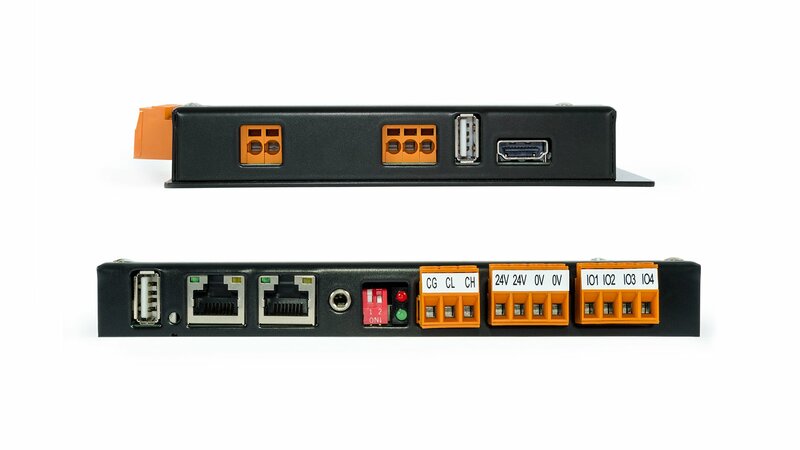 You can find information on the connections on the flexyPage PRO boxed product page. The Demonstrators2 are based on a visualisation of the CANopen-Lift components. The product data sheet and dimensional drawings are provided on CANopen-Lift.org. opening on the back with brush for cable entry.